Todd Lefever is a skilled and respected guitarist, songwriter, recording artist and teacher. Experienced and versatile, he is accomplished in several musical genres. A graduate of the world-class music program of Edmonton’s Grant MacEwan College, where he majored in performance, Todd began studying guitar at a very early age. Growing up in Medicine Hat, Alberta, he immersed himself in music, participating and excelling in numerous music festivals and playing in several bands. Throughout high school, he played guitar in stage band, and also played trombone in concert band. After graduating from high school, Todd attended Medicine Hat College. Here, he studied classical guitar under the guidance of performing classical guitarist William Frank, student of famed technique author, Aaron Shearer. During this period, he also studied theory and harmony with well-respected instructors Jeffrey Anderson and Cameron Watson. Later, studying with the fine instructors at Grant MacEwan College, Todd learned about theory, ear training, technique and improvisation. Since graduating from Grant MacEwan in 1995, he has continuously worked in the music industry as a recording artist, a performer, and a guitar instructor. As a performer/recording artist, Todd has worked with many excellent musicians in a variety of settings. He spent several years touring Canada and the United States, performing in clubs and casinos, with Lisa Dodd and Shameless. While teaching guitar for four years at the Medicine Hat College Conservatory of Music, Todd was a member of the critically acclaimed Lyle Rebbeck Jazz Quartet. He later became lead guitarist for Juno-nominated, pop-rock singer and songwriter, Fefe Dobson, with whom he toured in both Canada and the United States. In 2006, Ms. Dobson and Todd had the honour of performing “O Canada” together, before a worldwide television audience, at the NBA All-Star Weekend in Houston, Texas. 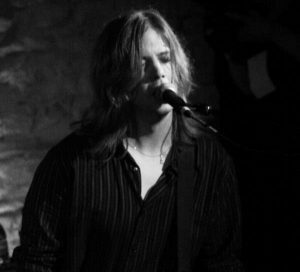 Todd has been teaching guitar lessons in Toronto, both in a classroom setting and as a private instructor, for over a decade. His lessons cover several music styles including rock/metal, pop, blues, jazz, country, folk, and classical guitar. In addition to teaching students how to play songs, he has created and developed a program that helps them learn the language of music through the study of notation, rhythm, scales, intervals, chords, chord progressions and musical terms. Listen to Todd Play Guitar! Inspired? Join one of Todd’s bands at Toronto Music Camp or Elite Music Academy.